Atlas Aircon was established in response to the growing need for quality repairing and maintenance services of Air Conditioners and Refrigerators. Since then, we have grown to be one of the leading air conditioner repair service providers in Vadodara, Gujarat. 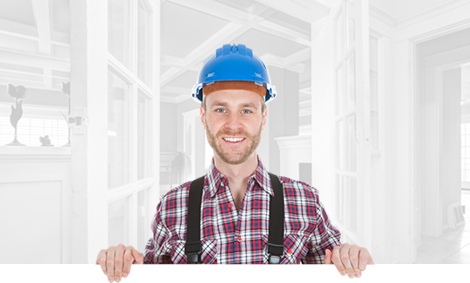 We have high-quality labor who are trained with the latest technology. We provide best quality material from the top partner in the market. 25+ years of experience in AC and Refrigerator Repairing Services. Professional Refrigerator & AC Repairing Service Experts at your Door Step. We offer the various ac maintenance and repairing services for air conditioners & refrigerators. We do more than an AC Repair Service- we check for glitches that need attention to keep you safe and save your money for long term. Atlas Aircon Provides Competitive and Affordable Refrigerator & Air Conditioner, AC Service Cost, We Assure you the Best Quality AC Repair Cost & Services. AC Repair Service at your doorstep, Just a Click Away, Fill the Form Below. Atlas Aircon covers almost all types of Refrigerator & Air Conditioner Brands for Service, Repairing & AMC. Latest News, TIps and Guides on Air Conditioners & Refrigerators. I’m very pleased with the work provided by our contractor Leo. He called to verify appointment times, arrived on time and was very professional and personable. The quality of work was timely and top notch. Technician came over to do a few odd jobs and did great work. Fixed a window, a sink and an electrical plug all for a reasonable price. I satisfy with his work and your service. Would definitely use them again. Nowadays it is hard to imagine the life of a modern man/woman without such essential electrical equipment as air conditioners and refrigerators. Unfortunately, any appliances are not perpetual and over time need to be repaired. Breakdown or malfunctioning of the refrigerator could directly affect the state of health of its owner. And the failure of the air conditioner can be comparable with a real disaster, especially when it’s blazing outside and your thermometer goes mad. Atlas Aircon – protect your home from contingent situations! Atlas Aircon – company that provides high-quality services of installation and maintenance of all air-conditioning systems, deep freezers, water coolers, as well as refrigerator repair in Vadodara. We have been on the market for twenty years and have gained a reputation of a real professional. We treat the obligations assumed very responsibly because we highly value the client’s trust and do not want to risk our reputation. For this very reason, we use only high-quality materials and professional equipment. In a word, if you are looking for a high-quality and pocket-friendly refrigerator and AC repairing service in Vadodara, you’ve come to the right place! Especially since we offer 24/7 services including holidays and weekends. We will repair your refrigerator or air conditioner quickly, efficiently, and at any time convenient for you. Whatever the brand, model or appliances age, our specialists always have the necessary tools, component parts for replacement, knowledge, and experience. The main priority of our work is to meet the needs of every single client. Just contact us and enjoy the best AC and refrigerator service in Vadodara! Searching for AC Repair Service Near Me? Call Best AC Repair Service Professional Near You and We will be at your Door Step under 40 minutes.